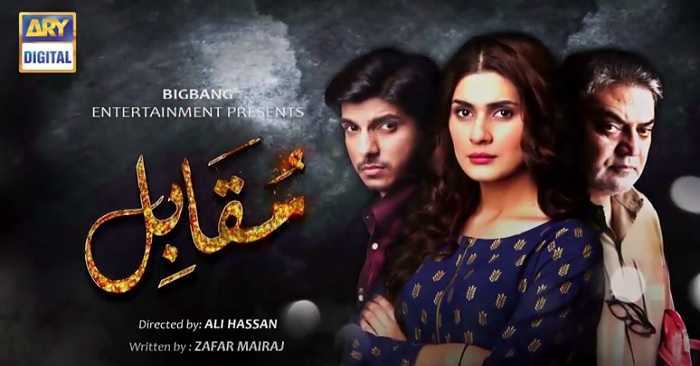 Muqabil is a story of Parisa who�s a quite girl and extremely reserved, she has a dominant mother who is full of herself and self made.Parisa however, gets married to a middle class man Armaan whom she really likes and find her sanity in him. The kick is that this really confuses him that why would a girl who�s as rich as her would opt Armaan has her life partner. The two tie the knot, but the twist comes in when Parisa confesses to Armaan that the cause of her marriage with him was a man who raped her back when she was young.Director: Ali HassanWriter: Zafar MairajCast :Saba HameedSaifi HassanKubraAsif Raza MirShaheen KhanMohsin Abbas and othersTiming:Watch �Muqabil� Every Tuesday at 8:00 pm only on ARY Digital.